Dr. Shaw is a Congenital Cardiothoracic Surgeon at Children’s Healthcare of Atlanta and Assistant Professor of Surgery at the Emory + Children’s Pediatric Institute. He graduated from the American International School of Medicine in Georgetown, Guyana and completed residencies in Family Medicine and General Surgery at the University of Tennessee Health Sciences Center in Memphis, TN. He completed his Cardiothoracic Surgery residency at the University of Washington and his Congenital Cardiac Surgery residency at Seattle Children’s Hospital. 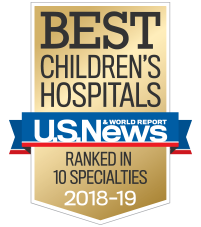 Prior to joining Children’s, Dr. Shaw was a Congenital Cardiothoracic Surgeon at West Virginia University and served as Surgical Director of Extracorporeal Life Support at WVU Medicine Children’s Hospital. His clinical interests include neonatal heart surgery, adult congenital cardiac surgery, extracorporeal life support and surgical education. Away from the hospital, he enjoys fishing, reading, traveling and time with his family.